“As organizations accelerate their digital business efforts, poor data quality is a major contributor to a crisis in information trust and business value, negatively impacting financial performance,” according to Gartner Data and Analytics team Vice President Ted Friedman. It’s estimated that as many as 25 percent of businesses have significant data discrepancies that cost their companies time and money. More specifically, data duplication leads to increased costs in organizational supply chains through excessive ordering, decreased efficiency from a lack of standardization and a continual battle with synchronization and accuracy. Especially for enterprises that rely on data to propel their inventory management and other data-driven initiatives, these circumstances can be detrimental. In many cases, inefficiencies in data management systems offset many of the gains that are possible. Understanding the causes of data duplications and learning how to correct them will help “harmonize” inventory systems data―providing a more accurate, reliable and searchable material master. To be sure, disorganized, disparate and inaccessible data has many causes. In some cases, the data backbones of enterprises—their ERPs—are not optimized for actual, real-world use. With many systems built and adopted prior to the age of the Internet, they have not adapted to the fast-evolving needs of organizations trying to stay competitive in a high-demand business world. Instead, they are causing confusion as numerous employees enter data and extract information from centralized sources or custom modules added to supposedly help address the enterprise’s new needs. For many organizations, their ERPs are licensed and stored on-premise, disconnecting them from continual, systemic upgrades and the ability to leverage the latest technological advancements. While efficacy of inventory data management is certainly a product of the defined capabilities of each respective ERP system, there is a major level of human responsibility―and it all begins with input. For example, many material masters in ERPs provide character-limited free text fields for material descriptions. Without clear data management practices or a system that guides, oftentimes, inputting new material data means employees input the information that’s important to them, without regard to how other colleagues, divisions or facilities thousands of miles away may actually reference and search for that same item. To compound the issue, searching for materials is very difficult because, by and large, it requires strict syntax and can easily be thrown off by misspellings or accidentally typing something wrong (i.e., searching International Business Machines vs. IBM or 120 horsepower vs. 120HP). Unfortunately, this ad-hoc approach to materials data entry turns into a vicious cycle. When employees’ frustrations over the cumbersome ERP processes are combined with the fact that they’re more than likely busy with their day-to-day, it comes as no surprise that they continue to replicate “what’s been done before” in order to complete the task and move on to the next one. The Plant: When technicians or facility supervisors who manage inventory can’t quickly locate the right part, then they may have to shut down a manufacturing machine that produces Widget X. That part may actually be in stock, just under another name, but was never located because of poor naming, descriptions, etc. Instead, it appears the needed part is out-of-stock. That unplanned maintenance is costing the company significantly from a production downtime perspective. Procurement: The procurement function of a business is to help the organization strategically buy materials—including controlling spend. As plants are searching for parts but are unable to locate them due to the aforementioned challenges, plants then submit procurement requisitions for seemingly out-of-stock materials. Despite having the material actually in-stock but under a different material ID and description, new materials are ordered. The plant has now procured more inventory than needed, exacerbating working capital costs. This becomes worse if the in-stock materials have excess quantities. Or, because the search-and-locate process is so cumbersome and time intensive, staff may circumvent the procurement process altogether and just pick up the phone and order parts from a local supplier on a procurement card. Not only is excess inventory being added, but also, purchases are being made without the transparency that enables Procurement to leverage spend and run strategic sourcing events to obtain better pricing. Material Data Management (MDM)/Information Systems (IS): TheMDM or IS teams are charged with keeping the data clean and free of redundancies including duplicates while providing the guidance for strategic data opportunities. These teams are on the front lines helping to manage a lot of this mess, so they’re spending increasing amounts of time, effort and money to do so. Of course, companies are aware of these problems. 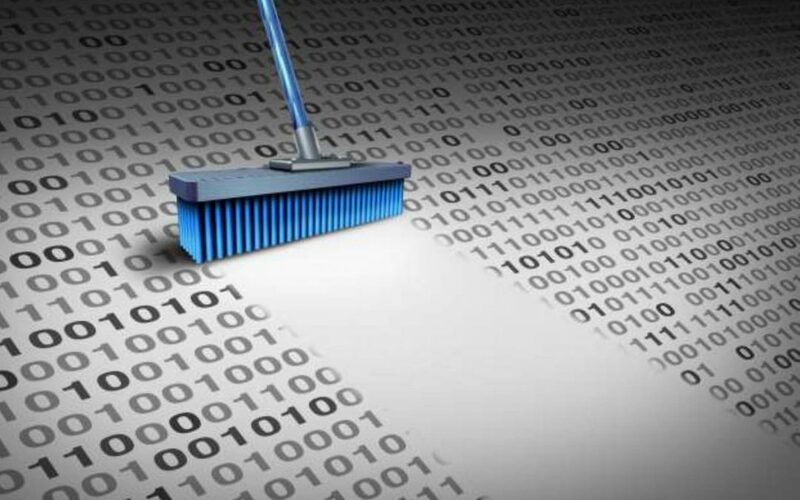 As mentioned above, they have teams of data specialists devoted exclusively to cleaning data and eradicating duplicates. But, it involves a mountain of manual process and spreadsheet management―which equates to time and money. Alternatively, companies can hire consultant firms that often rely on off-shore resources to clean data and provide data exports. By the time exports are uploaded, without any controls put in place, the data goes bad effectively the next day. It’s not a fix. It’s a Band-Aid. And, an expensive one at that. Fortunately, managing duplicates is getting much easier. Just as it’s making a profound impact on virtually every business sector, artificial intelligence (AI) is creating new, dynamic possibilities specific for inventory data management. AI can monitor inventory data creation and visibility, helping companies root out duplicates and provide more accurate visibility across the enterprise. At the same time, this technology is building continuity between the knowledge of past, present and future employees to ensure that inventory data management isn’t disrupted with each staff transition—an often-overlooked challenge companies face with aging workforces. Finally, AI returns a measure of control to employees by providing valuable insights into the ways that databases actually work, allowing them to learn from past mistakes to build better information for the future. The emergence of AI is replacing frustration with time to leverage data for more strategic, creative opportunities to propel enterprises forward. The output of AI will be inventory management systems that are more usable, responsive and capable than ever before. Duplications are costly, but AI can easily and cost-effectively restore the value of building and maintaining accurate and accessible inventory data. Do you know what your data duplicates are costing your company?